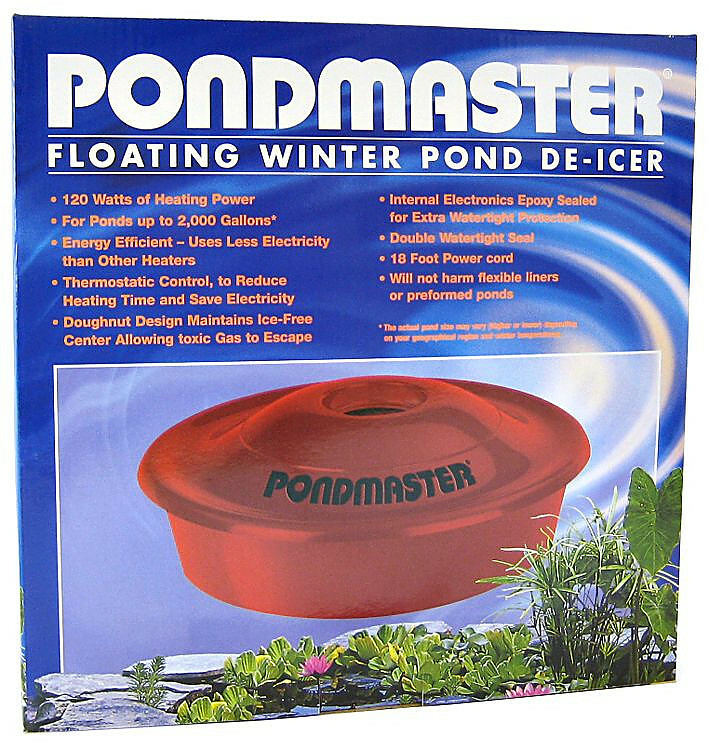 Pondmaster's Floating Winter Pond De-Icer is perfect for those colder winter areas where chilly temperatures cause ponds to freeze or ice over. 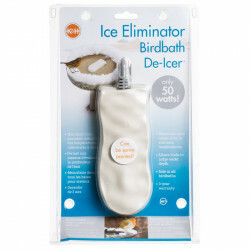 This unique doughnut shaped de-icer promotes a healthy living environment for fish and plants alike. 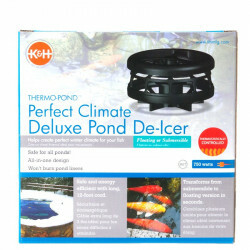 The Floating Winter De-Icer is energy efficient and uses less energy than other pond heaters. The donut design maintains an ice-free center, allowing any toxic gases to escape. Internal electronics are epoxy sealed, with a double-sealed shell for extra watertight protection. 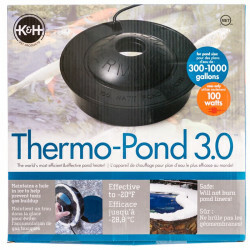 It will not harm flexible liners or preformed ponds. 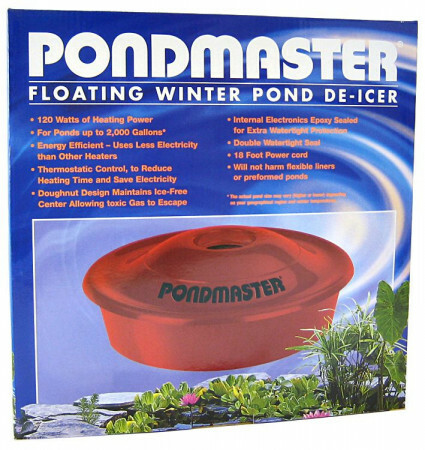 This is the 3rd Pondmaster heater I've used. They last for several years. Unfortunately, mine went during the coldest weather over New Year's Day. I was able to find one locally in a pinch, but bought a second through Pet Mountain which was less expensive online. I will hold onto it as a back up unit. Quick shipping, good packaging, waiting for winter to use. 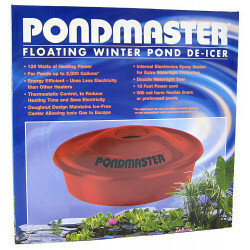 The Pondmaster De-Icer is inexpensive to run and works perfectly in keeping a hole open in the ice. We had one of these for years, this year it stopped heating during a cold cold spell. The local store didn't sell anymore so I was pleased to find it online. I added dog treats to get free shipping and we are all happy, fish, dogs and people. sent promptly. More economical than other types to run too! My sister-in law bought one last year and loved it . It really saves Money since it is just 120 watts. The long cord is a good design. I need one this year so this is what I am going to buy.